BATMAN FAMILY was another new reprint series that DC tried in this period. 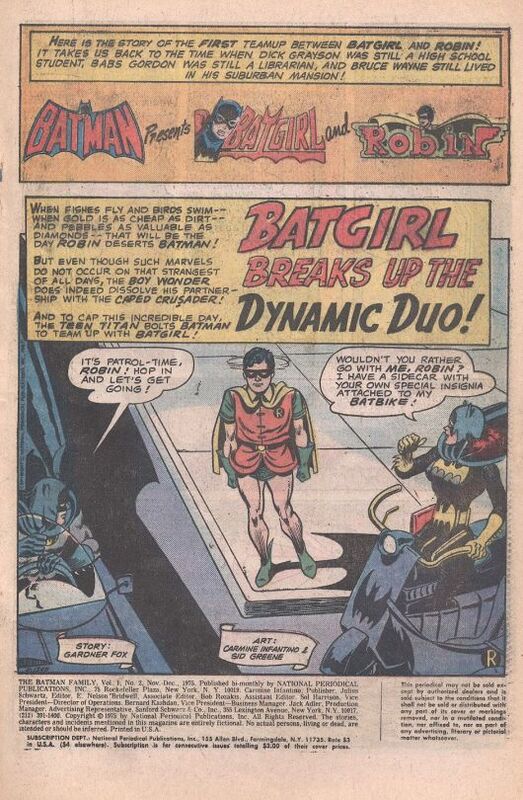 The first issue contained a new Batgirl and Robin team-up story originally commissioned for the cancelled First Issue Special title. This second issue, by contrast, was 100% reprints, albeit a nice little selection of them. 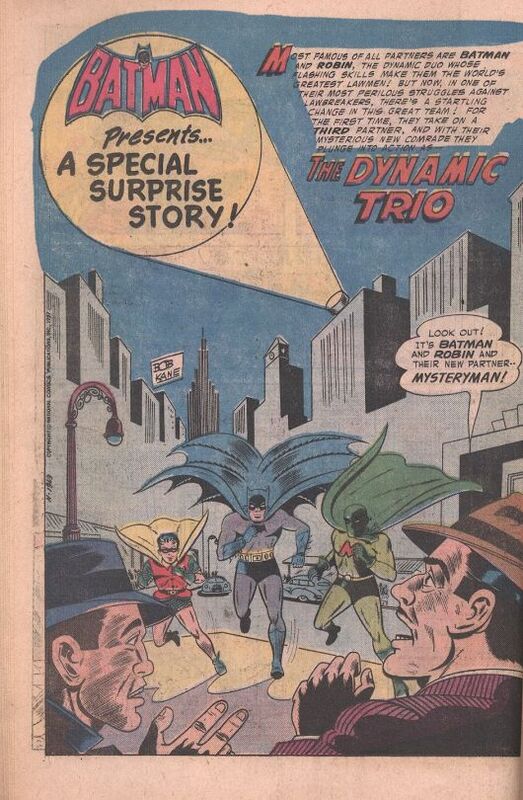 The opening tale was a solid piece from artist Carmine Infantino, done at the tail end of the BATMAN television phenomenon. At this point, Batman was a bit more identified with Neal Adams’ approach, but the Infantino incarnation had been the gold standard before that. Batman contracts a rare form of Swamp Fever, requiring Batgirl to shadow him for a week for when the disease may strike him down. Robin is cajoled in as a confederate–why they don’t simply reveal the truth to Batman is side-stepped unconvincingly. Next is a story that was surprisingly ahead of its time. Batman and Robin work to take down a gang of smugglers with the help of a new partner, Mysteryman! Mysteryman turns out to be Commissioner Gordon in disguise, forced to adopt this persona after the Mayor orders him to hand over the case to the Caped Crusaders. Snoopy reporter Vicky Vale, of course, comes along to screw everything up, but it all turns out okay. And so, the recent storyline in which Gordon became the replacement for Batman had its antecedent. 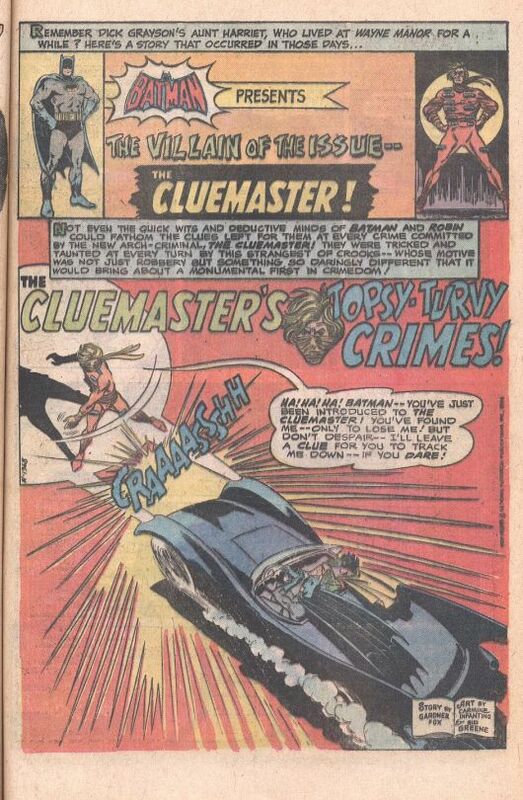 The third tale was another pretty Carmine Infantino art job, this one introducing the Cluemaster. The Cluemaster really wasn’t much of a villain–he was a sort-of cut-rate Riddler. But like Mysteryman in the previous yarn, he gained greater importance in more recent years when his daughter took on the guise of the Spoiler in the Bat-books. 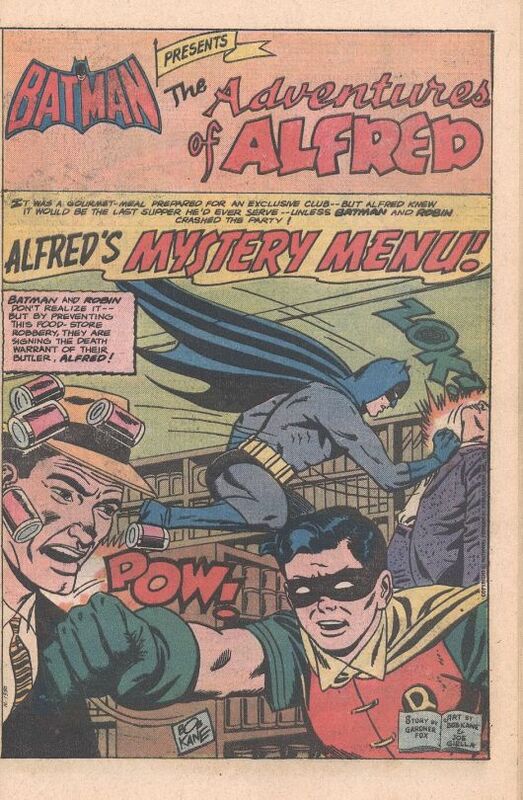 Finally, the issue closes with another Batman story, this one rebranded as an Alfred-focused adventure. Possibly the oddest thing about this particular reprint is that a second credit box has been added that insists once again that Bob Kane did the artwork, rather than his ghost Sheldon Moldoff. As though the obligatory Bob Kane signature wasn’t enough. 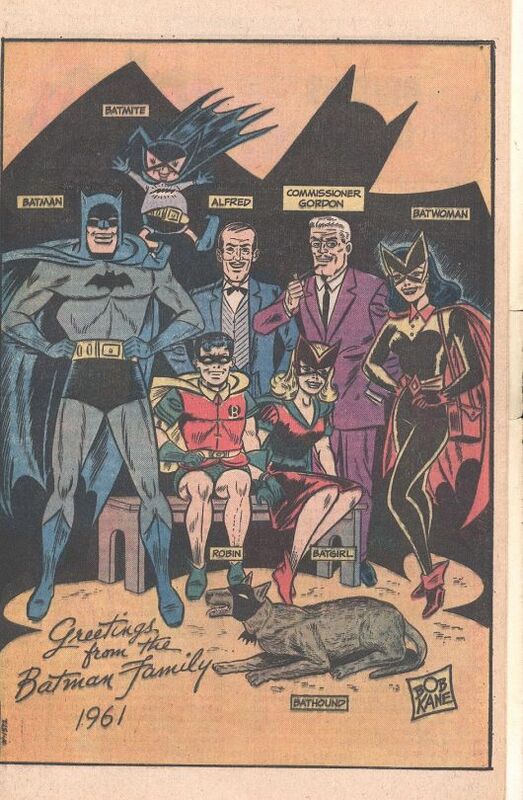 There was also this Batman Family pin-up from an old Annual as well as an uncredited text piece presumably written by E. Nelson Bridwell discussing all of the rare and forgotten members of that august family.